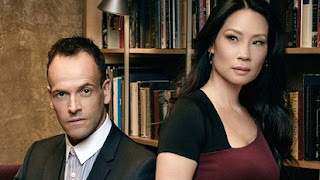 Season 6 of the acclaimed crime drama series Elementary starts tonight (Wednesday July 18) at 19h00 on M-Net City Movies (Channel 115). This take on Sir Arthur Conan Doyle's classic character has disgraced Sherlock Holmes (Johnny Lee Miller) fleeing London for present-day Manhattan after a stint in rehab. He arrives to find that his father has assigned a sober companion to live with him - Dr Joan Watson (Lucy Liu), a former surgeon whose medical licence was revoked three years earlier after she lost a patient. She now seeks penance by helping addicts stay clean. However, Holmes has his own plan for keeping on the straight and narrow, throwing himself into his work as a police consultant in New York City. The two find that they make a good team and are soon cracking some of the NYPD's most-difficult cases. In the season premiere, titled An Infinite Capacity For Taking Pains, Holmes confronts a medical diagnosis that threatens his career.